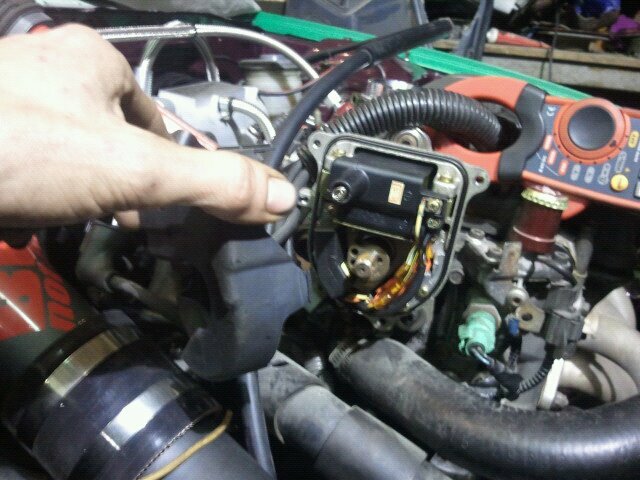 how to diagnose an ignition coil..
Scenario- car dies at the stop light..
Push it off to the side of the road. Safety first.... You will need a phillips screw driver, spark test or sparkplug, 2 test leads and a multi meter. Primary circuit(all models) 0.6 to 0.8 ohms. test your battery engine ground. Probe the pos. terminal of your batt. The ground probe to the disstributor housing. Should read full voltage. If not. Diagnose a bad batt. conection or a bad engine ground. Skip this if you have some how already know if theres no spark. Remove the cap. 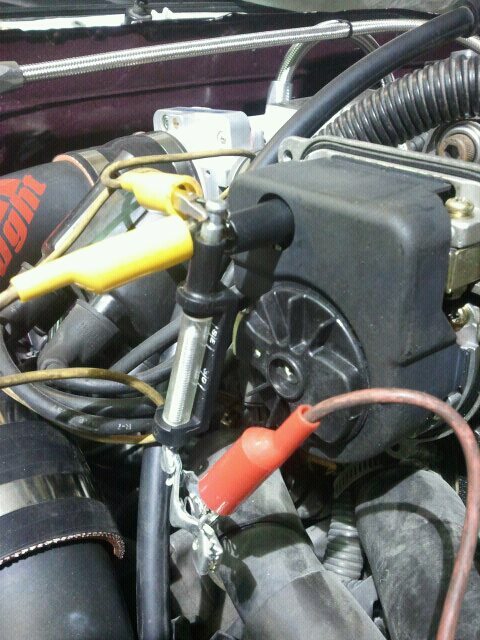 this is a spark tester(partsource special) one end connected at the coil and the other end grounded. Have someone crank the engine while you observe the spark if any. Spark should sound loud and look like a blue lightning bolt. If any... Inspect the cap and rotor. If the contacts look burnt, replace. note the position im attacking it from. Its the only way to get the set screw out. Pull rotor straight off. If you damage it, replace it. Pull the cover straight off. Grond probe to a good ground and pos. probe to the pos. terminal of the coil(+ will be stampd on the coil). turn on the key and you should read full voltage. If not, diagnose a bad connection at the dizzy or a bad engine harness or relay. Key off.. Dissconnect the two wires from the coil. This is the primary circuit. My meter is automatic. But select the ohms on your meter so the decimal is reading 000.0 when you touch the probes together. check with my values listed above. If it fails to reach or exciedes the values, you just diagnosed the problem and replace the coil. Check the values above. Same thing as primary, if it fails. Replace coil. 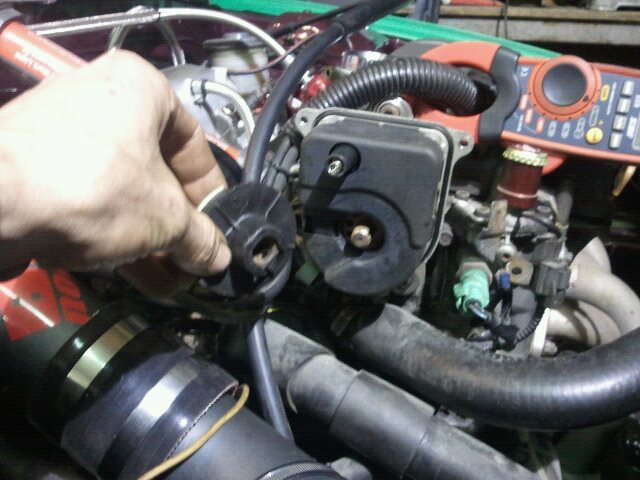 If all is a pass you then have to diagnose a bad igniter or icm or cam/crank sensor. Coil removale is simple. Remove the two large bolts and it will slide right out. Last edited by Kaptain Keith; 03-04-2012 at 08:02 AM. 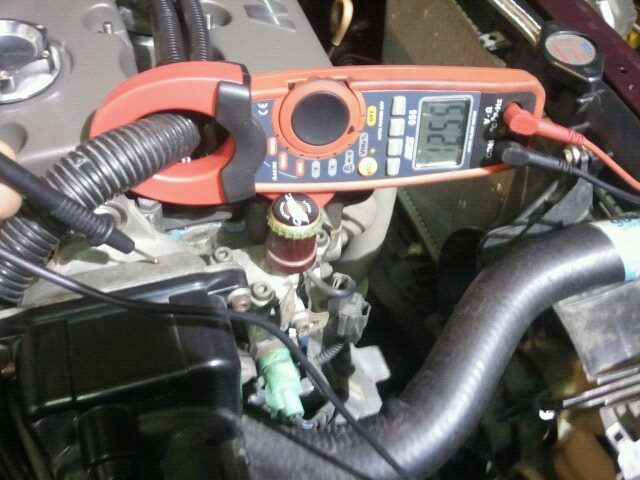 Re: how to diagnose an ignition coil..
Last edited by D.T.P; 03-07-2012 at 08:12 PM. There it is. Tried making it simple. Follow these exact steps and you will find something. how to diagnose a bad injector. 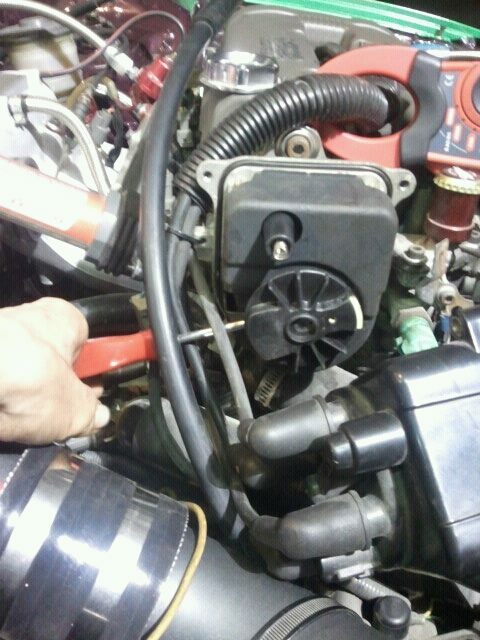 Quick Reply: how to diagnose an ignition coil..